In October, everyone except law students gets a reading a week. It’s supposedly meant for catching up on reading and finishing off assignments, but it’s essentially a week’s holiday and a lot of people travel in that time. My parents decided that this would be the best time to come out and visit. I haven’t really felt that homesick, but I was so excited to see them and show them around Ottawa. It made it feel a bit more real that this was actually my permanent home. They came for five days so we tried to cram in a lot. 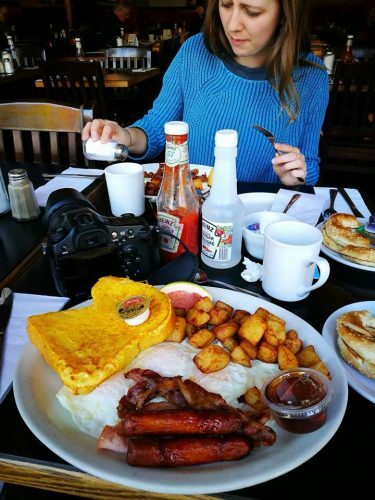 We went for a huge greasy breakfast in the morning after they arrived; mainly because you haven’t really had the full Canadian experience if you haven’t covered your bacon and French toast in an excessive amount of maple syrup. My parents hired a car which was really useful; I haven’t travelled much outside of Ottawa so it was nice to be able to actually see some new places. We had been warned that in the next couple of weeks the temperature was going to start rapidly dropping so we went to an out of town retail shopping centre to get me kitted out for the winter. I am now the proud owner of a coat that is worth more than me, and that I will probably be wearing for the rest of my life to get my money’s worth. It really is worth spending a good amount on a decent coat; you won’t regret it when the temperature starts dropping to below -20 degrees. Having said that, you don’t have to spend excessive amounts to buy a good coat; I’ve had friends who spent $1000 on a coat, and equally others who managed to get theirs for around a $100. 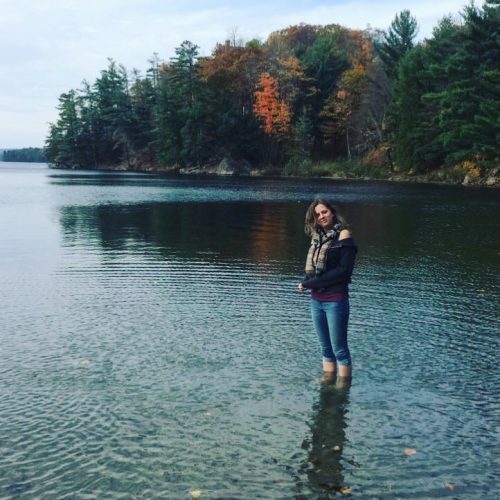 Quite a few in our group of friends who came for just one semester managed to survive up until Christmas without buying a proper coat – so maybe something to consider if you’re only planning to come for the fall semester and want to save a bit of money. Obviously, those of us who are here for both semesters realised we wouldn’t be able to get away with that! A Canadian friend recently asked me what the coolest thing I’d done in Canada was and my answer had to be going on a zip wire across a river canyon. My dad wanted to take me to do something that I wouldn’t easily be able to get to on my own; it was about a 2-hour drive to get to the Chutes Coulonge Park. Our instructors were so friendly and very reassuring – naturally, we were quite nervous about running and jumping off a plank of wood over a canyon but it was so worth it. 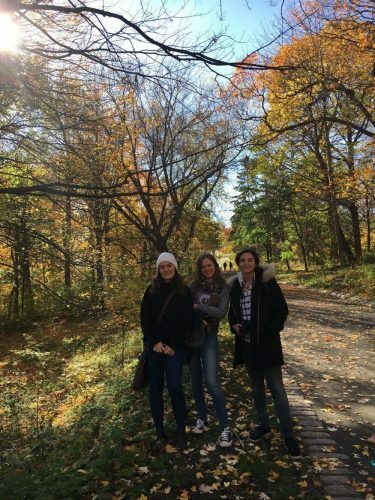 We also went for a really beautiful walk at Camp Fortune; something I’d definitely recommend doing during the fall season because the colours of the leaves are incredible. I decided that as this was probably the last time the weather would be good enough to swim in a lake that I would just have to go for it. I would not recommend to a friend! It was so painfully cold that I couldn’t actually breathe properly, and managed to swim for about 5 minutes before running out again! I think it gave the locals and my parents a good laugh though. 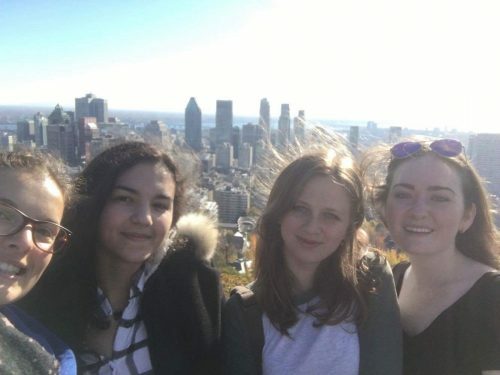 We went for some really lovely meals out; my favourite was a Mexican restaurant Ahora in the Byward Market area – I made sure I took my housemates back there for our end of term meal! There is also a hotel called Andaz in Byward Market; it’s a skyscraper with a bar and restaurant on the roof at the top. It’s probably too expensive to eat there on a student budget; we just went for cocktails! If you’re looking for somewhere special to go for a drink; it has incredible views over the whole of Ottawa! It was really hard saying goodbye even though I knew I would be seeing them at Christmas. Luckily, we planned to do a flat trip to Montreal for the final weekend of reading week which gave me something to look forward to. It was a really nice trip and it wasn’t too expensive; the return coach journey was around $40 and we booked a cheap Air Bnb, mainly chosen because it had a cat. 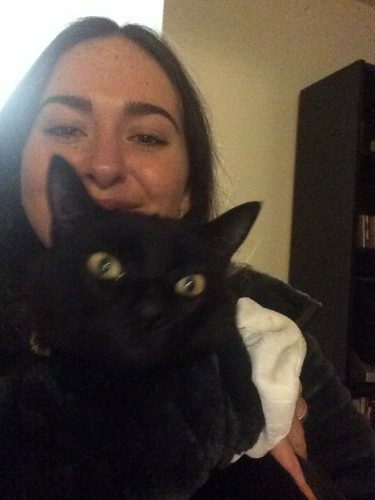 Something Annabelle and I were very excited about – we both miss our cats from home! Both our housemates, Carla and Loulia, are French which made life a lot easier for us in Montreal. Annabelle and I had cooked them a proper English breakfast in the flat, so they treated us to some croissants at a French patisserie on our first morning there. They insist that the ones in Ottawa are terrible! 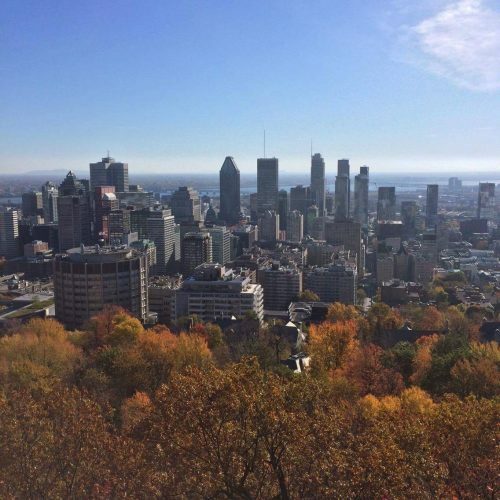 My favourite part of the trip was the walk to the top of the Mount Royal Park; it is a big tourist spot but the view over from the top makes it really worth it. We also walked to the Old Montreal, so named because it is the oldest area in the city of Montreal. There is some really lovely shops and restaurants there, and we made sure we stopped for a crepe. It was a pretty packed weekend so I was happy to get back to Ottawa and to be back in the flat again. It is starting to feel a lot more like home now!